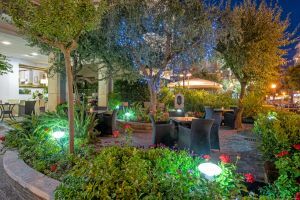 Hotel Regina for the best holiday you’ve ever had in the…Queen hotel of the Adriatic! 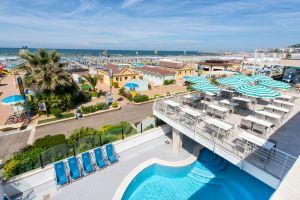 The 3-Star Hotel Regina in Cattolica enjoys a privileged position situated in the heart of the city, with an enchanting view of the sea as soon as you wake up. 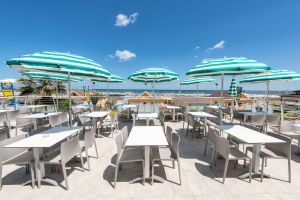 From the sea front terrace you can access the beach directly. 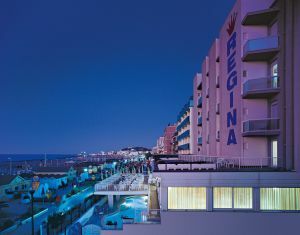 At the Hotel Regina, those who really need attention will be truly pampered: your children! 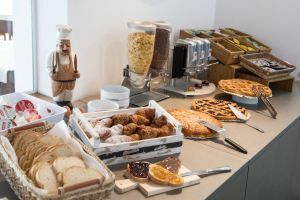 In fact, the hotel is really "family-friendly ", since everything has been thought of in order to guarantee those who travel with children the possibility to enjoy relaxing holidays. 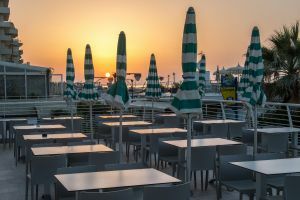 For this reason, there are dedicated services for families with children: flexible meal times and specific menus, cots for the youngest children in the room, entertainment on the beach, family rooms and much more! 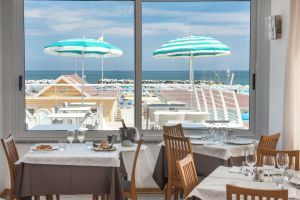 Among the other services offered by the Hotel Regina in Cattolica, we would like to point out the fresh garden, the bikes you can use free of charge, the free car park, the free Wi-Fi internet connection in the common areas, in the rooms and in the beach cabins in the lidos with which we have made agreements. 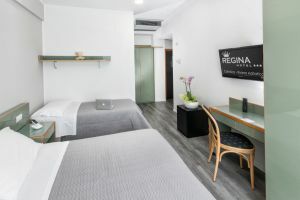 Hotel Regina puts at your disposal a wide range of room types from which to choose. The services included, the position and the prices change according to the type of room chosen. Therefore you can decide what to have and how much you want to pay: the utmost freedom. This is a spacious, cosy, modern room with comfortable beds and large, recently refurbished with a fantastic view of the sea. 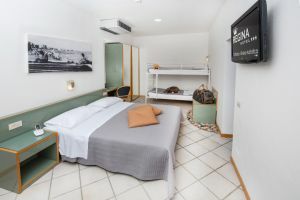 This type of room can have 2, 3 and 4 beds and it has a bathroom with a shower, a hairdryer, telephone, Satellite TV, a mini-bar, a Wi-Fi internet connection, a safe, air conditioning and a balcony overlooking the sea. This room is spacious and comfortable for the entire family. 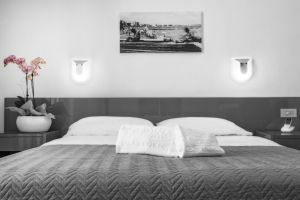 These rooms have been completely refurbished; they are large, cosy and equipped with all comforts, ideal for families that travel with their children. 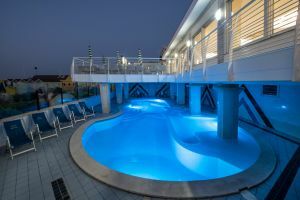 They can host up to 5 people, they have a shower and private bathroom facilities, a hairdryer, a telephone, Satellite TV, a mini-bar, a Wi-Fi internet connection, a safe, air conditioning and two balconies overlooking the garden. 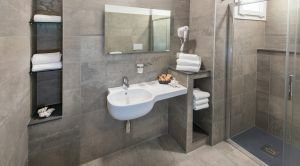 This has a bathroom with a shower, a hairdryer, a telephone, Satellite TV, a mini-bar, a Wi-Fi internet connection, a safe, air conditioning and a balcony. 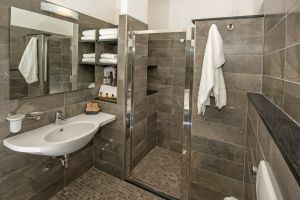 This has a bathroom with a shower, a hairdryer, a telephone, Satellite TV, a mini-bar, a Wi-Fi internet connection, a safe, air conditioning and a balcony overlooking the sea. Price list per person per day, minimum 3 days. - Full board excluding drinks. - Air conditioning, satellite TV, safe, telephone in room, WIFI Hot Spot, cars, bicycles, service and taxes. Check-in time 12.00 - Check-out time 10.00. The full board start with lunch on day of arrival and ending with breakfast on day of departure, meals not consumed will not be deducted. Half board discount € 5,00 per day. Under 13 years of age, 50% off. Between 14 and 17 years of age, 30% off. Over 18 years of age, 20% off.